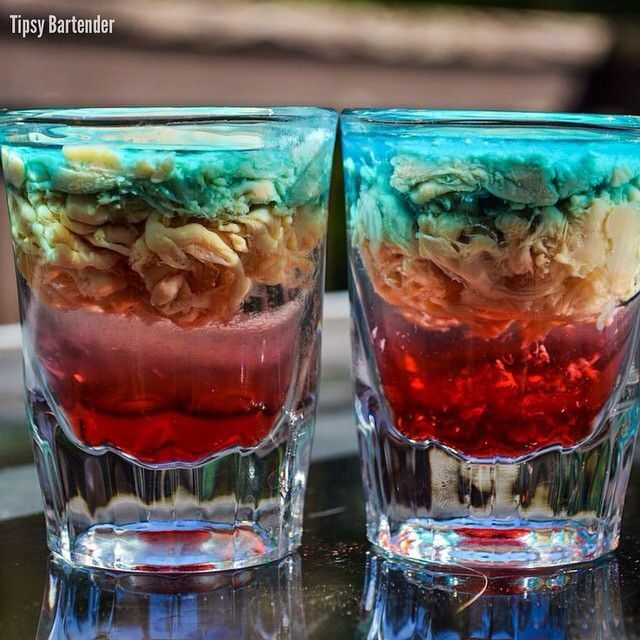 It’s a crazy-looking adult beverage called The Alien Brain Hemorrhage. This is a great party drink that’s easy to make and has a fairly complex flavor. It’s also not too strong, so you can enjoy quite a few of them without getting totally blasted. Ok so this one isn’t really an alien abduction or UFO sighting. It’s an adult beverage called The Alien Brain Hemorrhage. One thing I really like about this drink is that it’s a very low-alcohol content shot which means if you happen to like the taste, you can enjoy a few without getting hammered. So what’s in it? Well, you start off with a shot glass – perhaps slightly larger than a normal shot. The first thing you do is fill the shot glass to about 3/4 full with Peach Schnapp’s. Next, take some Bailey’s Irish Cream (the original version works best) and pour a small amount in. Pour the Bailey’s gently so most of it sits on top of the Schnapp’s. The Bailey’s will immediately curdle which gives it that ‘brain’ look. Finally, add a splash of Blue Curacao and a splash of Grenadine syrup for that bloody alien coloring. When I do shots, I normally do shots of single liquors like Jack Daniels or Vodka. Doing shots that have 3-4 ingredients is a rarity for me, so relatively speaking, the flavor profile of the Alien Brain Hemorrhage is fairly complex. Initially, the shot tastes like all Peach Schnapp’s with a light hint of citrus. But once it’s gone, the creamy finish of the Bailey’s kicks in and lingers a bit. Personally, I don’t taste much in the way of the Grenadine and assume it’s mostly for that blood-like effect. 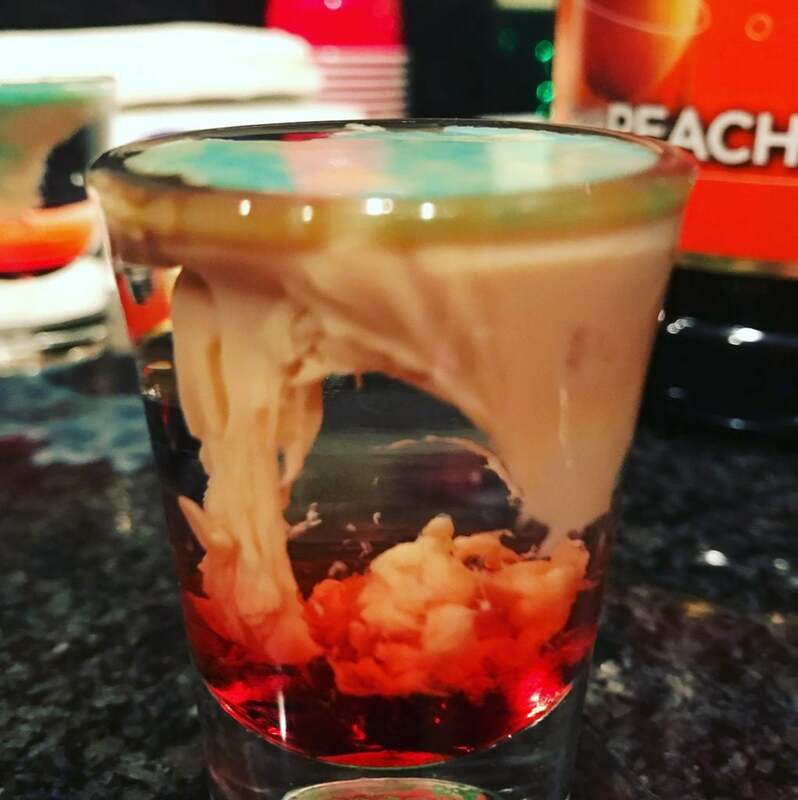 Have you ever had an Alien Brain Hemorrhage? What did you think of it? I made them at a July 4th party. Everybody who tried it really liked it. They’re actually really tasty – they do look gross… or cool depending on your perspective… but most folks agree they taste good. 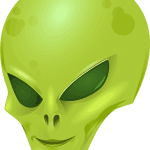 Wait those are alien brain??? If you check out the article, it will tell you the ingredients. You got one just like that?